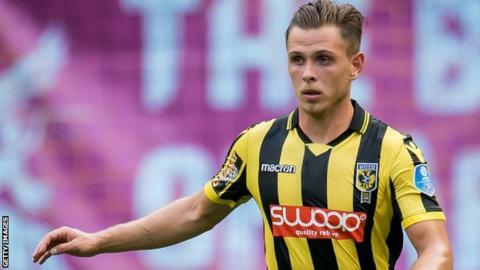 League One side Shrewsbury Town have signed Chelsea midfielder Charlie Colkett on a season-long loan. The Blues academy graduate, 21, has previously been on loan with Bristol Rovers and Swindon Town and spent last season with Vitesse in the Netherlands. He has yet to play a first-team game for Chelsea. The Shrews have also signed Doug Loft, 31, on a one-year deal following the midfielder's exit from Colchester at the end of the season. Last season's beaten League One play-off finalists Shrewsbury begin the 2018-19 campaign at home against Bradford City on Saturday, 4 August.